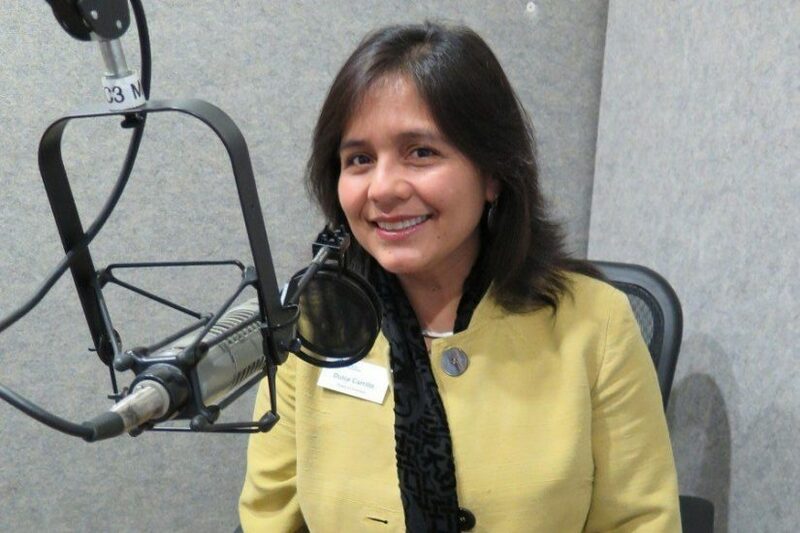 Virginia Humanities Board Member Dulce Carrillo was born in Guadalajara and raised in Los Angeles. As an undergrad at Berkeley, she spent a semester in Seoul, South Korea which changed the trajectory of her life and career. 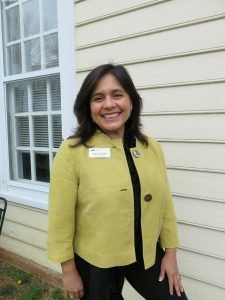 She spent the next seven years as a Mexican Foreign Service Officer in Seoul and Tokyo, and eventually landed at the Mexican Embassy in Washington D.C.
She is now Coordinator of Community Engagement for Arlington Public Schools where she was introduced to Virginia Humanities by another Board Member, Emma Violand Sanchez. 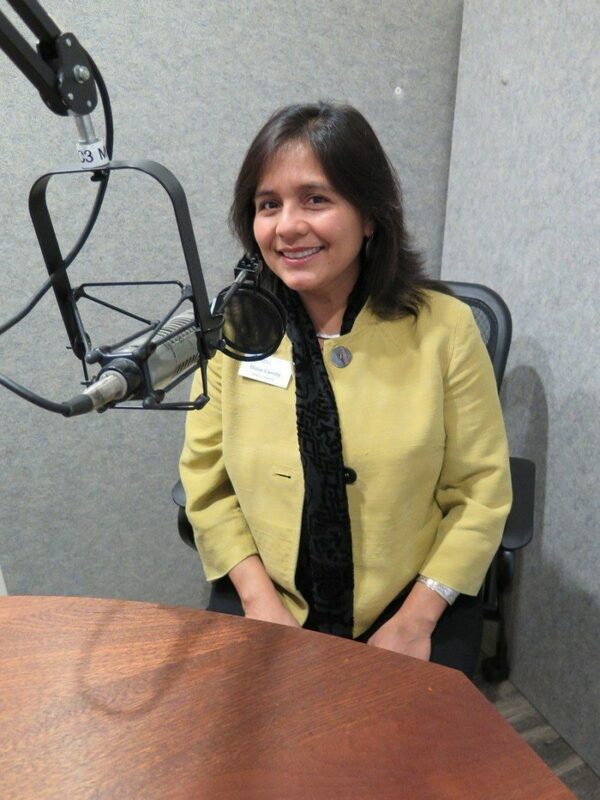 Recently, she sat down with Elliot Majerczyk in our radio studio to talk about the ways the humanities have helped her learn more about Virginia and the many people and cultures that can be found here. The humanities are the foundation of our society and how we understand ourselves and our neighbors. I realized no matter where you go and how different people are… the power of the human connection was so great. When we do this work, hear these stories and share them, they touch us in our hearts so we can see ourselves in other people. Dulce Carrillo is Coordinator of Community Engagement in Arlington Public School in Virginia. Her role is to ensure effective participation by the Arlington community and stakeholders on a wide range of issues and to facilitate an ongoing two-way dialogue with the community. Her personal passions include traveling the world with her husband and two teenagers. Virginia Humanities is proud to have her as a member of our Board of Directors.